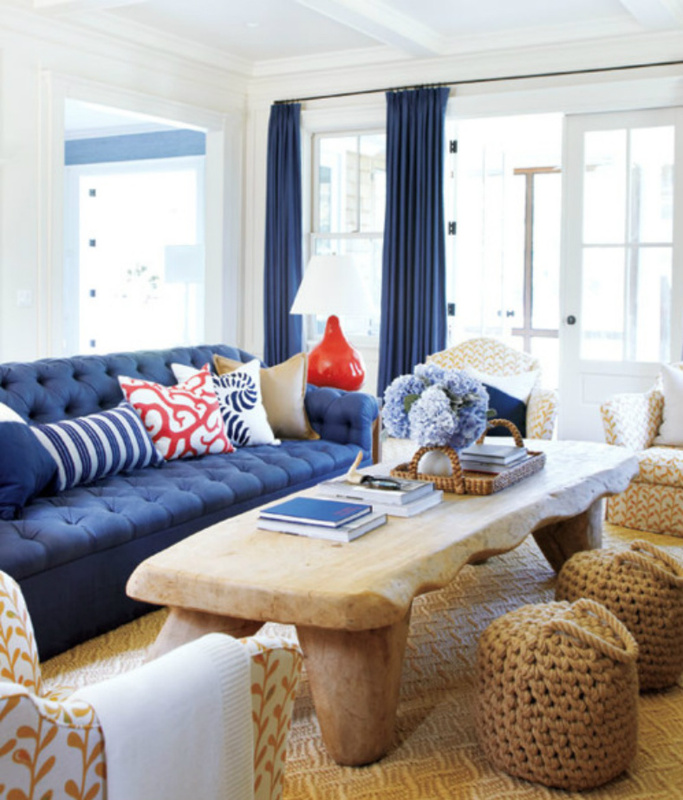 This coastal living room is framed with navy draperies and anchored with a navy sofa. The sofa is filled with red, white and blue pillows for a comfy, American design. 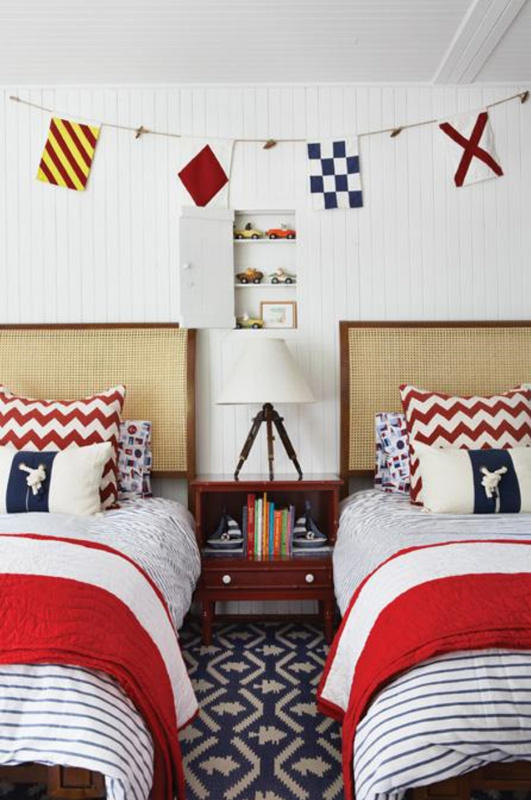 Red, white and blue bedroom with nautical elements that make this coastal room a favorite. 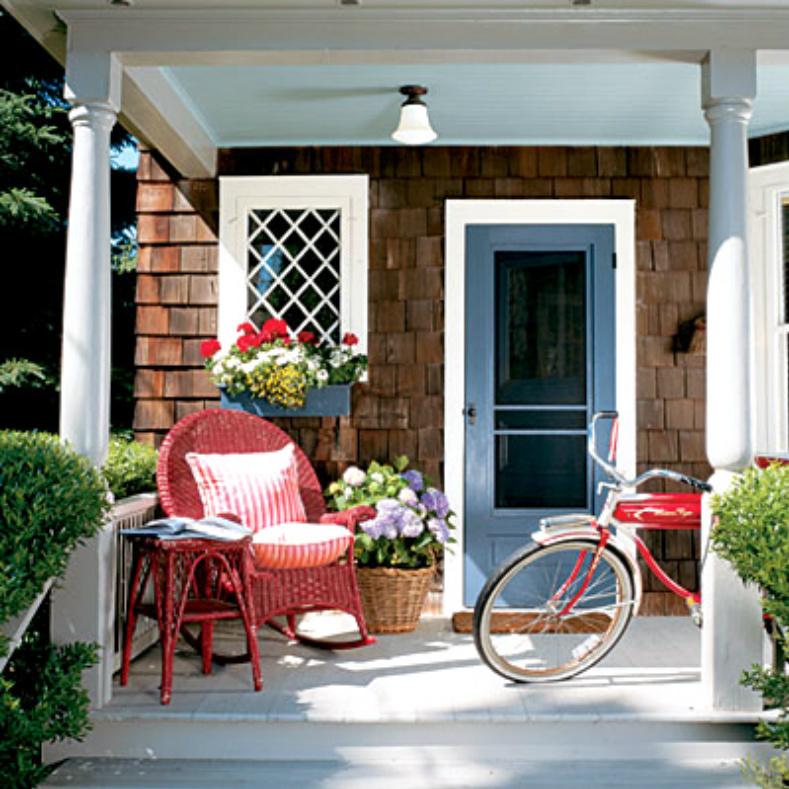 Maine cottage seaside porch has just the right touches of Americana with the red wicker chair and the retro bicycle. Blue & white boating stripes set the tone for this beach house balcony. 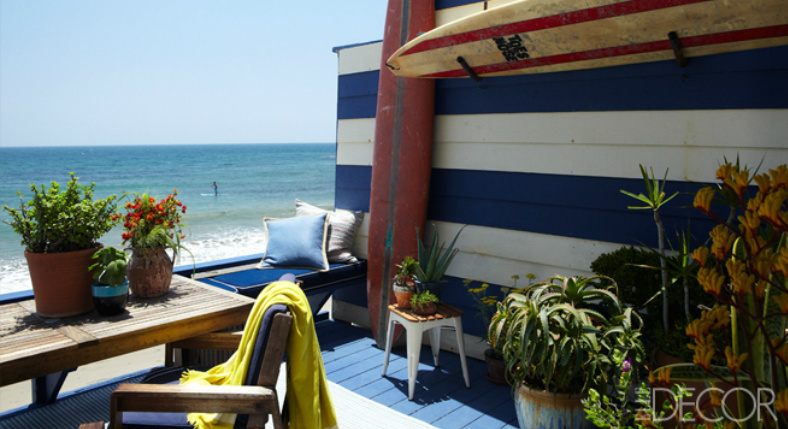 Vintage surfboards and upholstered bench lounging offer ways to soak up the sun. 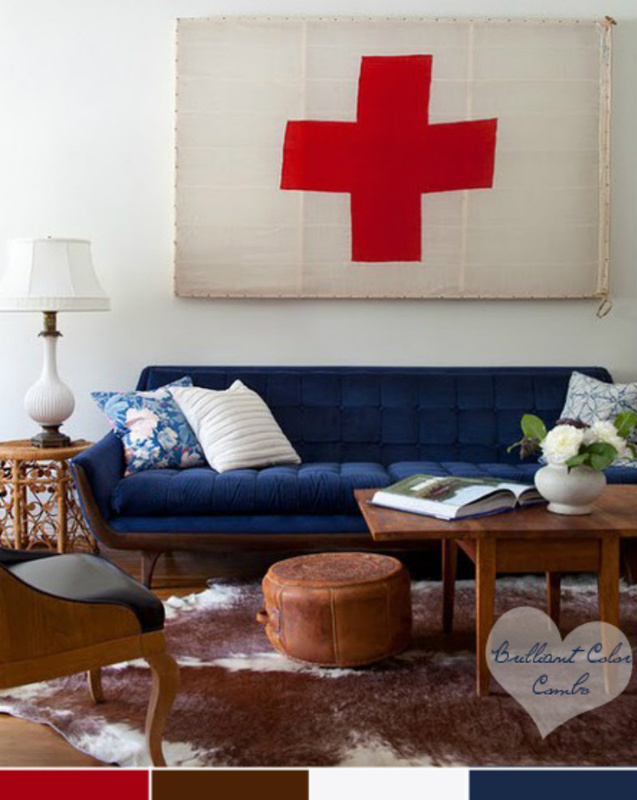 This sleek red, white and blue living room has a beautiful mid century modern sofa and an artsy red cross flag hung on the wall for an eclectic vibe. Nautically modern breakfast room with ship's chain table and American flag painting creates a cool collected design. 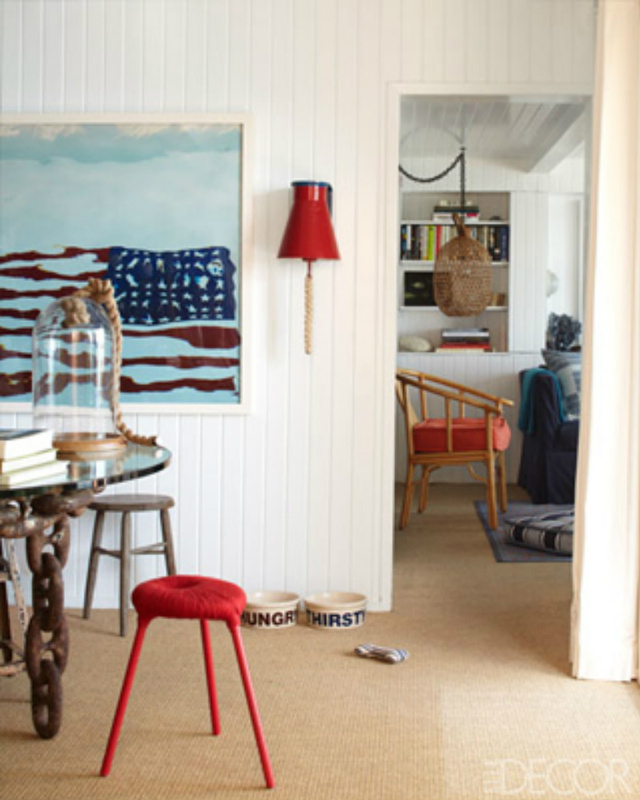 Coastal cottage with red, light blue and white accents is a fresh and clean look. The white drapes are dip dyed in light blue and look amazing. 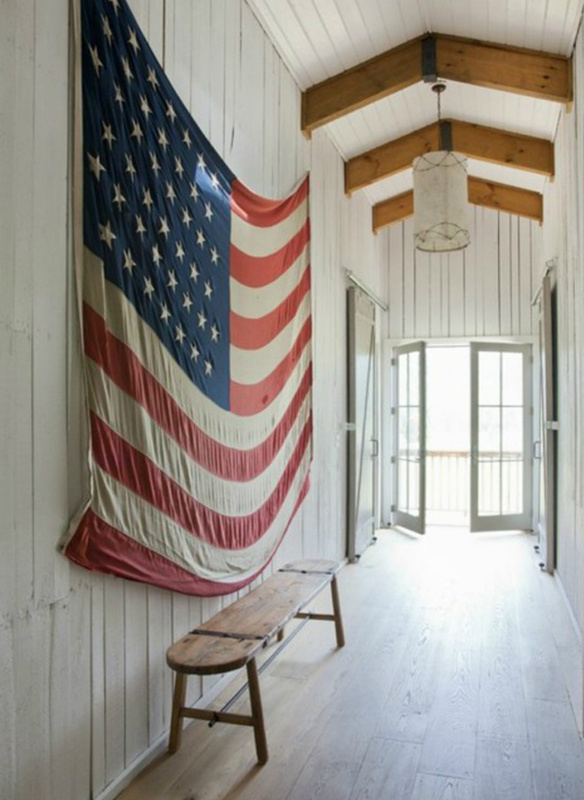 Americana at it's best, with the large American flag and antique wooden bench it is a simply perfect hallway.